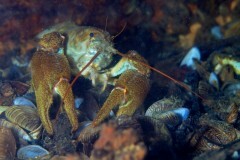 Here’s another of the crayfish from my diving last weekend. 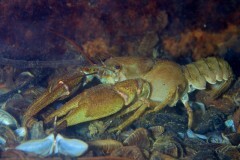 As I mentioned in my earlier post, these are freshwater crayfish which are native to the UK. 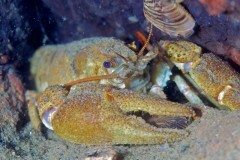 As seems to be all too typical, humans have messed with the situation and introduced American signal crayfish to European waters in an attempt to deal with crayfish plague. 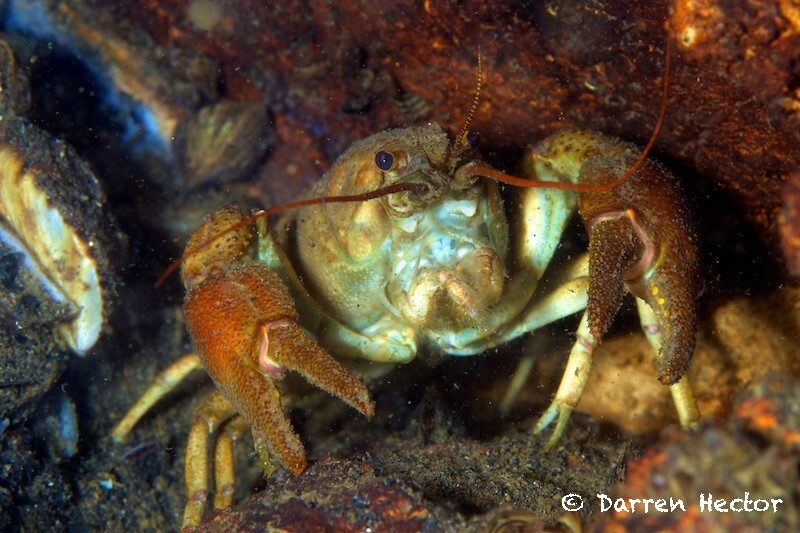 Not only are signal crayfish bigger, but they are also carriers of the plague so are actually a threat to our native freshwater crayfish instead of their saviour. It all sounds far too much like the grey/red squirrel debate to me, and now we have people calling for a cull of the signals and grand plans to put the genie back in the bottle. When will we learn that our attempts to meddle with nature and correct an inbalance (in most cases caused by us in the first place) usually ends in more disaster. Having got that off my chest, I’ll go find some more pictures from the weekend for later. Hope you’re enjoying them! Posted on Wednesday, September 8th, 2010 at 2:34 pm. Filed under: Underwater Tags: crayfish, crustaceans, diving, freshwater, freshwater crayfish, human interference, nature, signal crayfish, Underwater	RSS 2.0 feed.